Most days begin with Google and today Google is honouring a woman scientist who did pioneering work in her field – and then inspired many more like herself to do the same – with a doodle. Rich people travel to isolated destinations enjoying nature ~ Bikini Atoll is an atoll** in the Marshall Islands which consists of 23 islands totalling 3.4 square miles (8.8 km2) surrounding a 229.4-square-mile (594.1 km2) central lagoon. Bikini and Eneu are the only islands of the atoll that hosted a permanent population. Bikini Island is the northeastern most and largest islet. 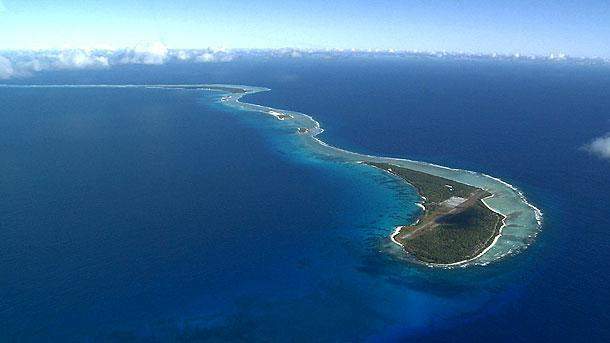 Before World War II, the atoll was known by its German name, Eschscholtz Atoll. Operation Castle was a United States series of high-yield (high-energy) nuclear tests by Joint Task Force 7 (JTF-7) at Bikini Atoll beginning in March 1954. It followed Operation Upshot–Knothole and preceded Operation Teapot. Conducted as a joint venture between the Atomic Energy Commission (AEC) and the Department of Defense (DoD), the ultimate objective of the operation was to test designs for an aircraft-deliverable thermonuclear weapon. Operation Castle was considered by government officials to be a success as it proved the feasibility of deployable "dry" fuel designs for thermonuclear weapons. However, one test in particular, Castle Bravo, resulted in extensive radiological contamination of nearby islands (including inhabitants and U.S. soldiers stationed there), as well as a nearby Japanese fishing boat (the Daigo Fukuryū Maru), resulting in one direct fatality, and then continued health problems for many of those exposed. Public reaction to the tests and an awareness of the long-range effects of nuclear fallout has been attributed as being part of the motivation for the Partial Test Ban Treaty of 1963. After the Bikini Atoll nuclear tests in 1954, the Japanese government asked the Geochemical Laboratory to analyze and monitor radioactivity in the seawater and in rainfall. A Japanese fishing trawler had been downwind from the tests at the time they occurred, and its occupants became ill from the effects. The woman of the day - Saruhashi found that it took a year and a half for the radioactivity to reach Japan in the seawater. Today’s google doodle honours that woman who helped clean the seas of nuclear bombs. Saruhashi's commitment to inspiring other women scientists was as remarkable as the work she did herself. Katsuko Saruhashi, a Japanese scientist did pioneering work in her field – and then inspired many more like herself to do the same. Saruhashi's list of achievements is vast and wide. Chief among them is work she did to test how nuclear fallout was moving in the seas, and use it to show that tests of nuclear explosions in the ocean should be limited. But Saruhashi's achievements weren't only scientific, and the list of work that others went on to do as a result of her inspiration is even longer. She also worked incredibly hard to ensure that other women got a chance to make the breakthroughs she did, explaining that it was her mission to make the field she worked in more equal. "“There are many women who have the ability to become great scientists," she said. "I would like to see the day when women can contribute to science & technology on an equal footing with men.” Her work in that area has been recognised with, among many others things, a prize named in her honour. When she retired in 1980, her colleagues gave her five million yen – and she used that money to establish the Association for the Bright Future of Women Scientists, which has rewarded Japanese women scientists working in the natural scientists with a prize every year since. Today on her 98th birthday, Google pays tribute to Dr. Katsuko Saruhashi for ‘her incredible contributions to science, and for inspiring young scientists everywhere to succeed," it wrote on its page. Before she did the work she would go on to be remembered for, Saruhashi was already breaking through barriers. She was the first woman to earn a doctorate in chemistry from the University of Tokyo in 1957, for instance, and she would continue such achievements by becoming the first woman to win a prestigious geochemistry award. The specific work that was to define her scientific life was begun after the US started testing nuclear weapons at Bikini Atoll. In response to that, the Japanese government wanted to know whether exploding the warheads was affecting the water in the ocean and in rainfall, and commissioned the Geochemical Laboratory, where she worked, to analyse that. She made use of the understanding of accurately measuring water but turned it to explore the way nuclear fallout spread through the water. She found that the pollution was taking a long time to make its way through the ocean – but that eventually it would spread out and mix with the water, moving across the world. It was those findings and others like it that helped contribute towards stopping the test of nuclear warheads in the ocean. And it was some of the first work that explored the way that nuclear fallout spreads over the world – a field that would go on to become terrifyingly relevant in accidents like those at Chernobyl or Fukushima. Saruhashi would go on to explore the other dangers posed by rain and water, including work on acid rain. The word atoll** comes from the Dhivehi (an Indo-Aryan language spoken on the Maldive Islands) word atholhu, meaning an administrative subdivision. Oxford English Dictionary’s first recorded use in English was in 1625 as atollon – Charles Darwin recognized its indigenous origin and coined, in his The Structure and Distribution of Coral Reefs, the definition of atolls as "circular groups of coral islets" that is synonymous with "lagoon-island".